A small brush fire that broke out on Otay Mountain Saturday was set as a signal by a man who was injured after entering the United States illegally. 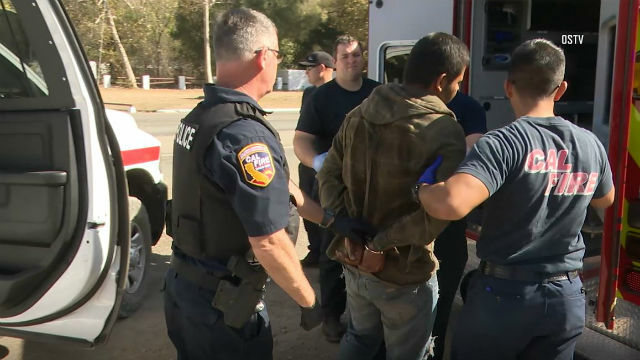 Border Patrol agents interviewed a 25-year-old Mexican citizen who said he started the fire after he hurt his ankle and was left behind by a larger group he had crossed the border with, according to U.S. Border Patrol Agent Eduardo Olmos. A Cal Fire battalion chief said the blaze was set as a signal fire, NBC San Diego reported. The fire was reported on the mountain, which is east of Otay Mesa and just north of the U.S.-Mexico border, around 11:30 a.m., Cal Fire Capt. Issac Sanchez said. It was stopped at about a third of an acre, Sanchez told City News Service. Cal Fire took custody of the man and took him to a hospital, according to Sanchez and Olmos. Border Patrol agents will take custody of the man at the hospital and begin the process of deporting the man to Mexico, Olmos said.